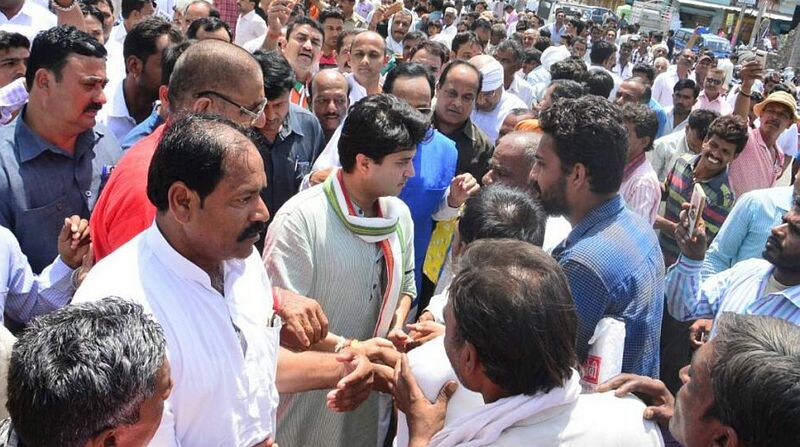 Congress leader Jyotiraditya Scindia was on Tuesday arrested along with his supporters while trying to enter Mandsaur in Madhya Pradesh, which has been hit with continuous protests and violence over the deaths of farmers in police firing. Scindia and supporters were arrested under section 151 but the fiery Congress leader announced to launch a 72-hour satyagraha in support of the farmers in Bhopal from 14 June. 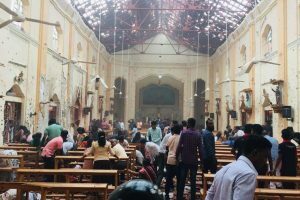 The Congress leader said he would go to Mandsaur alone as Section 144 was clamped in the area. “144 laga hai to maine police ko kaha hai mai akele jaunga. Kaun rok sakta hai agar ek insaan akele jana chahta hai ? (Section 144 has been imposed and, therefore, I told police that I would go alone. Let’s see who stops if someone plans to go alone? )," Scindia was quoted as saying by a news agency. Earlier in the day, condemning the violence in Mandsaur, Scindia equated the BJP regime in Madhya Pradesh to "Hitler's rule" and said that the incident was a terrible blot on the Shivraj Singh Chouhan government. "The police firing on farmers agitating for getting the right price for their produce and waiver of loans, which resulted in the death of the five of them is a blot on the head of Shivraj Singh's government." he said, adding, "It appears that Hitler's rule is prevailing in the state. Chouhan has no right to remain in power." "It is a matter of shame that instead of meeting grieving farmers' families, the chief minister staged a nautanki (drama) in Bhopal in the name of fast. By announcing hefty compensation for them, the Chouhan government tried to trivialise invaluable human lives through money," he alleged. Targeting Prime Minister Narendra Modi, he said that nearly 65 crore people are dependent on agriculture in the country, but the government has hiked the rates of electricity and diesel, which has increased the cost of cultivation, forcing the farmers to commit suicide. Scindia also announced to stage 72-hour satyagraha in support of the farmers in Bhopal from 14 June. According to reports, Congress vice president Rahul Gandhi was also stopped from visiting Mandsaur on 8 June.